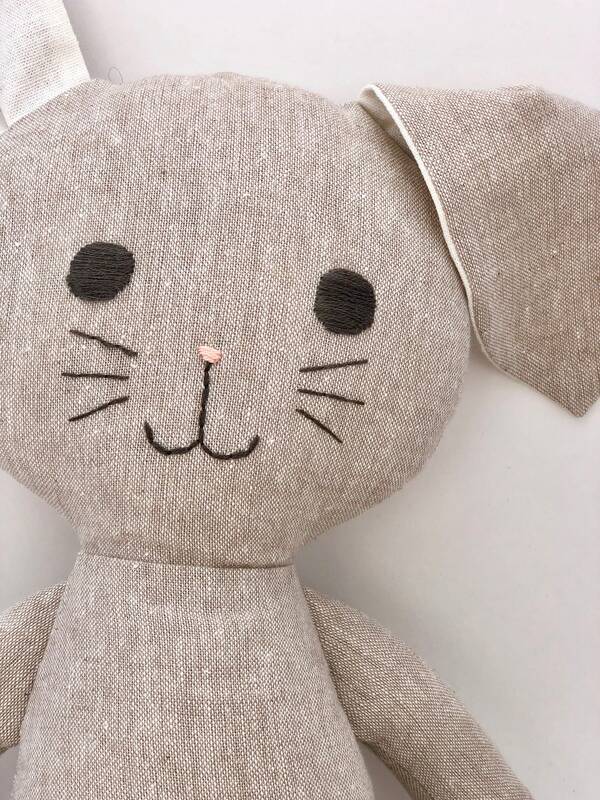 Create a one of a kind animal for your special one. 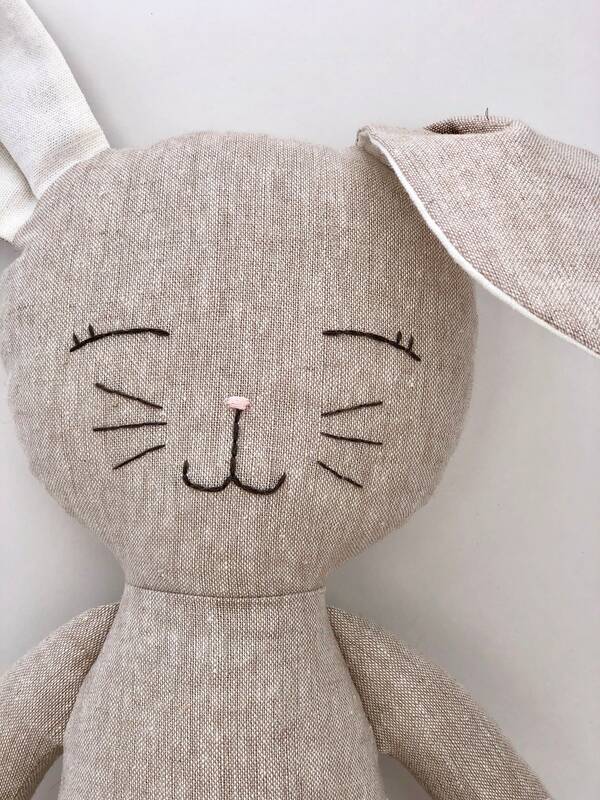 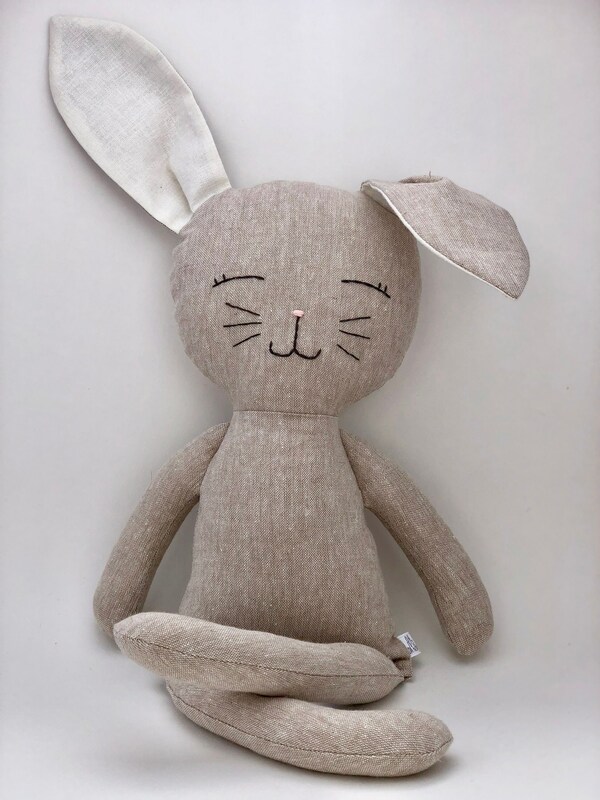 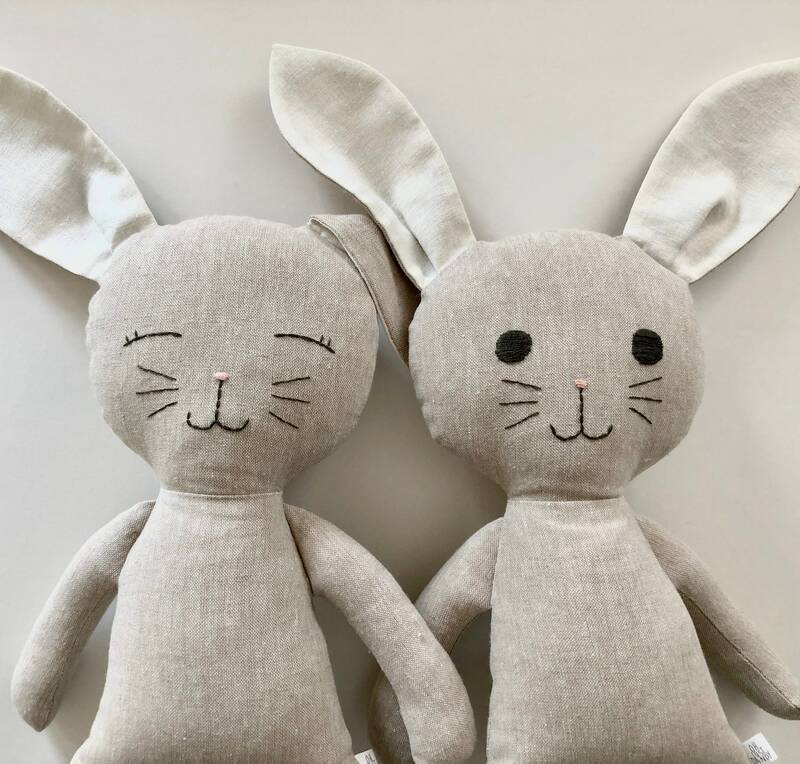 The sweet face of this bunny is hand embroidered, making every one unique. 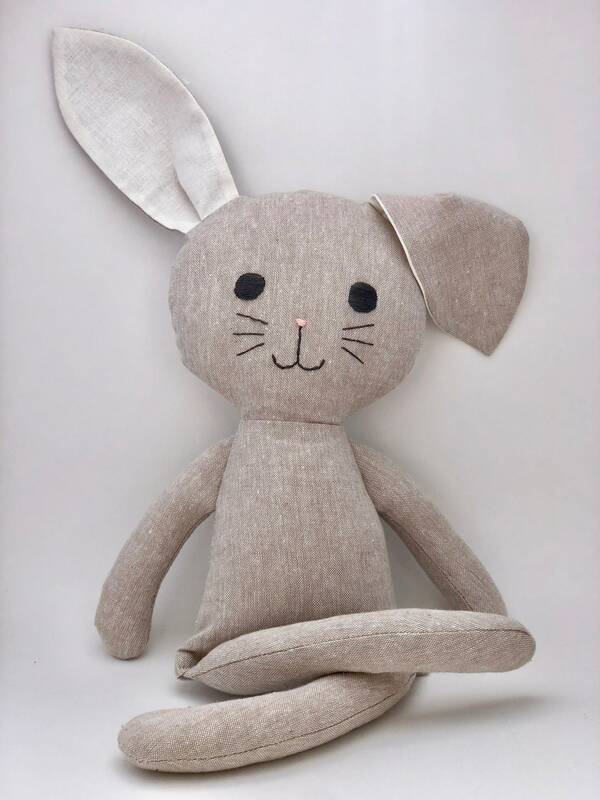 With long floppy ears, and a little cotton tail, It's the perfect play time and sleep time friend.